Time as a fourth dimension of distance is easily appreciated when one practices their kata. Such, practice, may require modification of the kata sequences. The within is one method of modifying your kata to appreciate the time dimension. To explore how an interim movement (the cover for the third block) can be used to achieve a time advantage, simply modify the movement. In the case, you speed up the cover for the block. Normally after the lunge punch you would step back to a half-way position and then cover the low block. You then complete the step back (to a side stance in the Fuku & Gekisai Kata) and complete the low block. 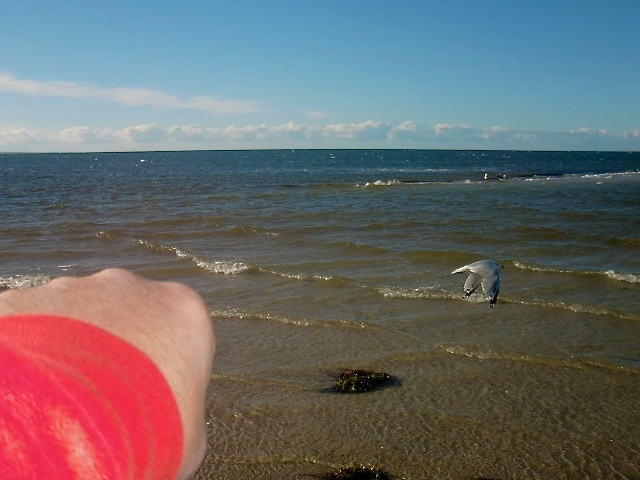 To achieve a time advantage, perform the cover simultaneously with the punch as shown in the photo below. Again, you then step back to the completed position. Move # 3: Step back, low block as usual. You can and should practice your kata with this time adjustment. When you are comfortable with the movement, conduct bunkai (analysis) with a partner and see how the cover actually becomes a continuation of the counter attack (as in the case of the completed low block). In the time modified sequence, you will have gained an advantage by counter striking your opponent twice (once with the punch and simultaneously with the counter). Exploring the fourth dimension of time as a component part of your kata will provide you with a rich and more complete understanding of not only your kata, but, also yourself. It is fertile ground limited only by the boundaries of your own imagination. 2. The basic sequence, block, strike, block, is sometimes obscured. For example, the sequence is found within the Taikiyoku kata series. A block is followed by a lunge punch, a turn is then performed during which another block is executed. The turn obscures the third block in the sequence. Removing the cloud of the turn opens the idea that the third block and turn is in fact a continuation of the counter strike. However, that concept is for another article in this series. 3. 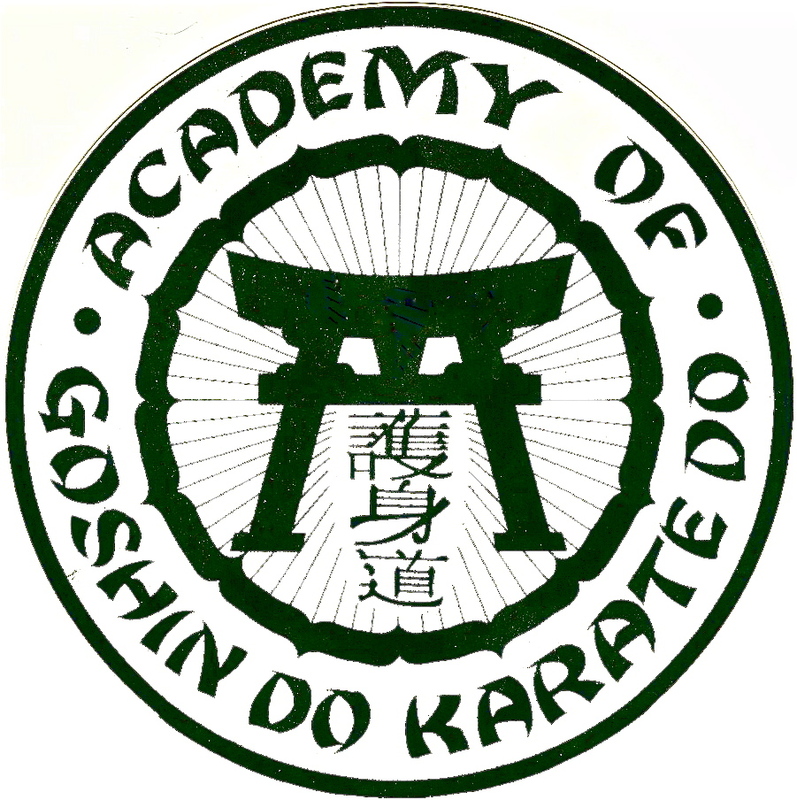 Here is a video of the entire Fuku and Gekisai Kata of the Goshin-Do Karate style. To ‘perfect’ means to, “make (something) completely free from faults or defects, or as close to such a condition as possible.” Kata is one “something” that it is utterly impossible to perfect. Consider the following. First, let’s start with the kata itself. I submit it is impossible to perfect a kata. Initially, how is a perfect kata to be defined. Is it one that is technically correct, free from faults or defects? If so, then a perfect kata is one that is merely pretty and lacks any functional utility. It must be remembered that kata is a dance, the highest form of dance in my opinion, but a dance nonetheless. What differentiates kata from all other forms of dance is one crucial element. Kata has at its core a martial purpose. It is designed to facilitate self-defense (see endnote # 1) So, to consider a kata as perfect merely based upon technical correctness of the performance is incomplete. Surely, a performer that performs a perfect kata in the dojo or a tournament but cannot defend him or her self with the sequences and techniques from the kata is but a perfect dancer. In addition, even though a kata is relatively short in duration, it is exceeding difficult for the human mind to maintain itself in a “perfect” mental, emotional and psychological state for such a duration. Fourth, looking at my environmental aspect of kata, two points must be borne in mind when considering the notion of “perfecting” your kata. It must be remembered that a kata was once a creation of its inventor. You can easily research the inventor’s physical characteristics at the time of creation. You may also discover insight into his general mental state (such as whether history tells us he was depressed, quick to anger, starving as in the case of a few post WWWII masters, or an alcoholic). You may not be aware of the impact of the creator’s environment on his kata creation. The kata would have been created taking such terrain into account. 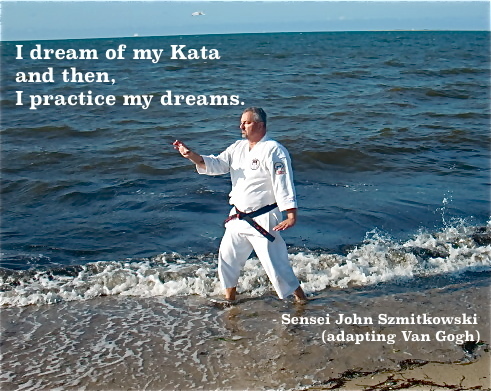 As such, the only way to “perfect” such kata is to perform it in its intended (read “perfect”) environment. Not sure? Take any of the various Kobudo oar kata as an immediate example. Most contain sequences involving using the oar to throw sand and /or soil into the eyes of the kata opponent. 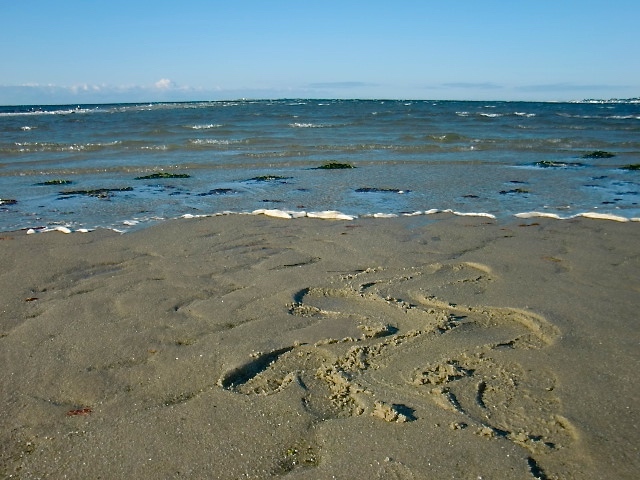 True, the kata can be performed in a dojo; however, such performance can not be “perfect” unless sand or soil is actually thrown and not merely simulated. Additionally, while you may “perfect” a kata within the sterile environment of a dojo, you may not be able to duplicate such perfection outside of the dojo, on uneven terrain, in clothes and shoes, with variations of temperature and climate. We will relentlessly chase perfection knowing full well we will not achieve it, but we will relentlessly chase it and in the process, we shall find excellence. 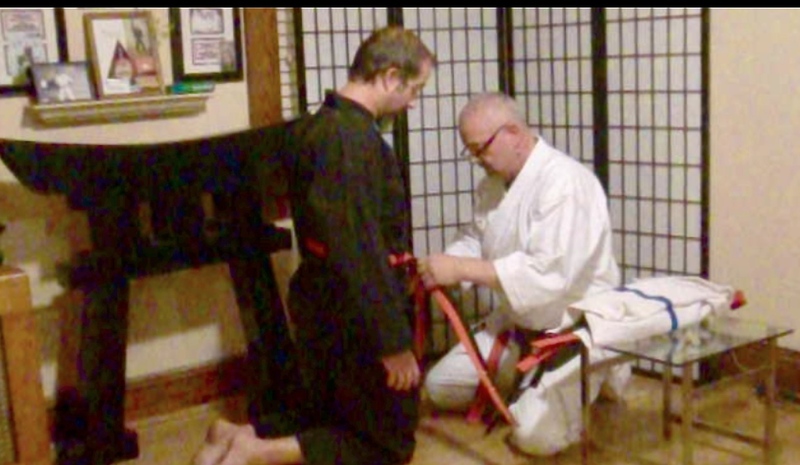 Bonus video: Here is a sneak peak at the newest video series “Underground Bunkai” which features my senior black belt, Sensei Jimmy DiMicelli, Go-Dan, Karate-Do NO Renshi. 1. Within the concept of self-defense, I include not only the obvious defense against an aggressor, but also physical health, and mental and emotional health. 2. This concept is the same as a chapter in my Kata Laboratory Book that addresses my concept that it is impossible to perform any kata exactly the same way twice. As of this writing, I have not released a free “teaser” of this chapter. This chapter discusses the multitude of variables and state of flux referred to in the article in great detail. 3. I draw a kata analogy to a concept from kendo (the art of the sword), “Satsujin no Ken (the sword that takes life) and Katsujin no Ken” (the sword that gives life”). I submit that the same applies to kata; Satsujin no Kata and Katsujin no Kata. © Copyright 2015 – 2016 Issho Productions & John Szmitkowski, all rights reserved. research the inventor’s physical characteristics at the time of creation. You may also discover insight into his general mental state (such as whether history tells us he was depressed, quick to anger, starving as in the case of a few post WWWII masters, or an alcoholic). You may not be aware of the impact of the creator’s environment on his kata creation. The kata would have been created taking such terrain into account. As such, the only way to “perfect” such kata is to perform it in its intended (read “perfect”) environment. Not sure? Take any of the various Kobudo oar kata as an immediate example. Most contain sequences involving using the oar to throw sand and /or soil into the eyes of the kata opponent. True, the kata can be performed in a dojo; however, such performance can not be “perfect” unless sand or soil is actually thrown and not merely simulated. Additionally, while you may “perfect” a kata within the sterile environment of a dojo, you may not be able to duplicate such perfection outside of the dojo, on uneven terrain, in clothes and shoes, with variations of temperature and climate. I am pleased to announce a new project – “Underground Bunkai.” Underground Bunkai is a series of articles and videos that will support my Kata Laboratory project. 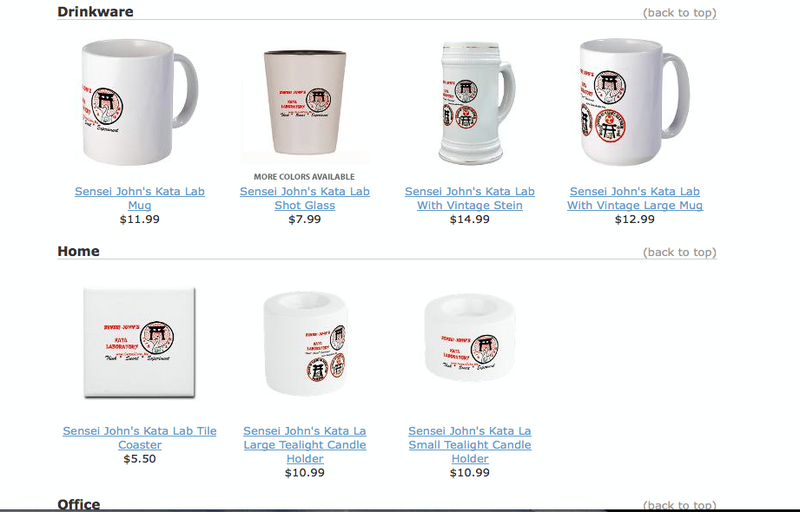 Kata Laboratory offers specific training methods to allow you to explore my three aspects of kata (See Endnote # 1). 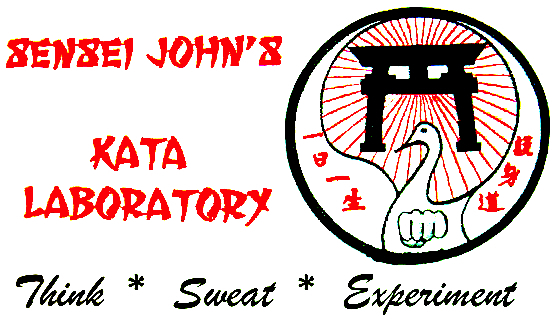 The Underground Bunkai project will show specific applications of the Kata Laboratory methods as they apply to various kata. The approach of Underground Bunkai is unique. It provides you with insight not only as to the specific kata sequence analyzed, but also as to how to use that analysis to aid in your practice of the kata of your style of martial art. The videos will prominently feature my senior black belt, Sensei Jimmy DiMicelli, Go-dan, Karate-Do No Renshi. Here is a sneak peak at a video that shows the concept of time as a fourth dimension of distance. A detailed discussion of time as a component of distance is contained in my full Kata Lab project (See Endnote # 2). Generally we think of distance in terms of three physical dimensions of length, width and height (see footnote # 3). We disregard the element of time, which is the fourth dimension of distance. The video uses the Goshin-Do Karate Kata Gekisai to illustrate how time affects distance. Enjoy. 1. My three aspects of kata are: the physical aspect (which includes practical application of kata technique and methods to integrate kata analysis within your martial arts regime), the spiritual aspect (the manner in which kata affects your mental state, emotions and psyche, and vice-versa) and the environmental aspect (the manner in which the environment affects your kata). 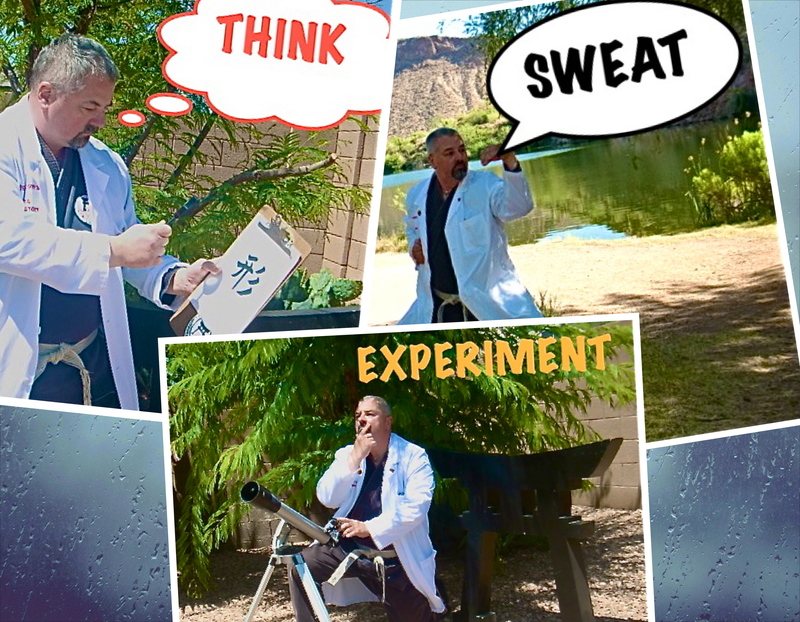 Videos within the Kata Lab project provide a visual guide to supplement the written training methods. 2. The exact concept is the subject of Kata Lab # 3130: Maai – The 4th dimension – Introduction and Kata Lab # Maai – The 4th Dimension – Advanced Concepts. I have not posted “teasers” of these two labs on this blog. 3. To understand the three dimensions as they apply to distance in the martial arts, let’s look at a straight right punch that starts in chamber and ends at your opponent’s nose. You think of the distance in terms of an angle from your right chamber to your opponent’s nose. Height is the distance from your right chamber position to the height of the nose along your opponent’s left body line. These three distances merge into one path that is represented by a straight line, in the form of an angle, from chamber to nose.